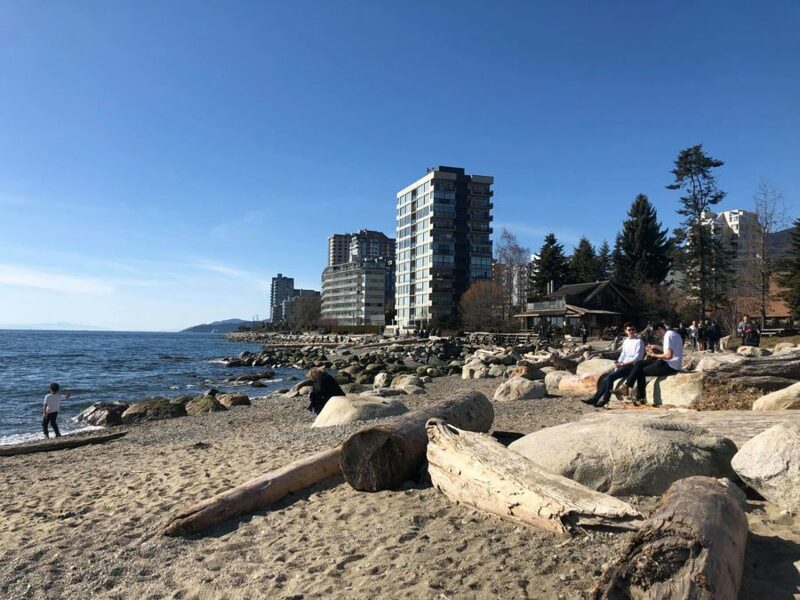 This weekend was the first real sign of spring weather here in Vancouver. Living in Ambleside, my first inclination on a sunny Sunday is to head down to the water. The official name of the waterfront connection between 18th Street and Dundarave Park is the Centennial Seawalk but most locals just call it “the Seawall”. You can take your dog and head on down because there’s a special path for pups right alongside. Continue the path to Ambleside Park and you’re at the off-leash dog park by the mouth of the Capilano River. On the way out to Dundarave you can marvel at the glimmering ocean and Vancouver Island in the distance. On the return journey you have a beautiful view of Stanley Park and the Lions Gate Bridge and on a clear day you can see Mount Baker in all it’s glory. You’ll see paddle boarders & kayakers enjoying a shoreline paddle. Herons, otters, eagles are everyday sights and on the odd occasion you’ll see an orca rolling by. It’s a lively place on the weekend and in the evening but the magic is early morning, when it’s a tranquil place with ocean sounds and scents. The beauty of the sun coming up behind Mount Baker framed by the Lions Gate Bridge leaves me in awe every time I witness it, even though I’ve lived here most of my life. 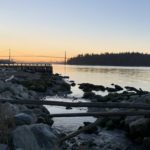 Whatever time of day or whatever the weather, the West Vancouver Seawall is a Vancouver walk you must try.